Today, I hope you all don’t mind a bit of cross promotion. As Janelle and I get ready to head to the Lakes Region for an event tonight at the wonderful Meredith Library, I wanted to offer you all an opportunity to get a deal on my second book. 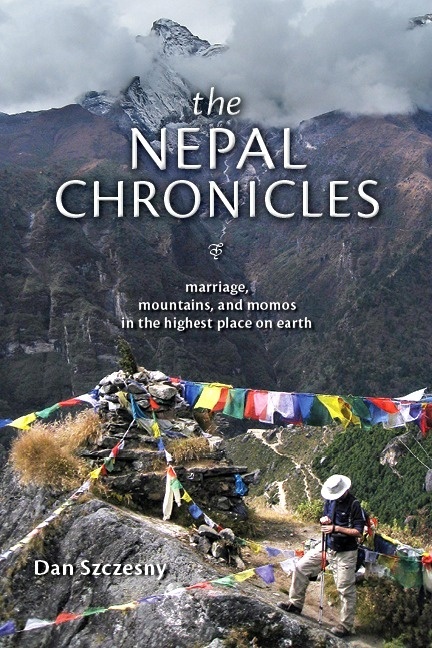 As you likely know by now, The Nepal Chronicles: Marriage, Mountains and Momos in the Highest Place on Earth, is being published by Hobblebush Books. The release date is Thursday, July 10 at what I hope will be a grand book release party at Gibson’s Bookstore in Concord! But until this Friday, June 20, my publisher is offering a super discount to those that pre-order the book. You’ll get 25% off the cover price, and FREE shipping! Plus, I’ll sign a copy for you. Considering I know I’ve met fans from all over the world, this is a great deal. I’m looking forward to a great summer of events with Janelle and promoting the new book as well. Hope to see you all soon! Happy anniversary friends, we are one year old and counting! From Buffalo and Tough Cookie, thanks for an amazing year! Let’s make year two even better! One year ago today, I stood in front of an enthusiastic crowd of supporters at Gibson’s Bookstore to celebrate the release of The Adventures of Buffalo and Tough Cookie; one year since the book came out, one year since Janelle and I began the second phase of our incredible journey, that of bringing our story, in person, to our family, friends and fans. With Janelle (and Aaron and Meena) at my side, I stepped out in front of that very friendly crowd and began to read, and in that moment I set off on another kind of journey – a new career, and one that I had waited a long time to begin in earnest. Now, with one year as an author under my belt, and a second book, The Nepal Chronicles, set to be released 28 days from today, I spent the morning reflecting on what this all means. Since June 12, 2013, we have crisscrossed New England and attended 41 meet and greets, hikes or presentations to celebrate our book and our friendship. I’ve stood in front of a couple thousand people over that time, my hiking partner at my side. I’ve worked hard to be in the moment, every day, and tried hard to teach Janelle to do the same – that every event is a celebration, that every time a new face whispered in her ear that she was an inspiration to relax into that feeling of pride, but not be prideful. To feel accomplished, but not feel better. To just be. And perhaps be grateful that we have this amazing opportunity to reach people, and every so often to connect deeply. Before Janelle became Tough Cookie, she tried out a croo pack at the Highland Center. To the little girl in that audience in Morristown, Vermont who sat on the edge of her seat and peppered me with questions about spiders and moose. To the kind woman in Conway who said that she had given up hiking after an injury, but after hearing Janelle, she was going to start walking again, first around town and then, maybe, to the glorious hills. To the dad in Pittsfield who told us that the day after our event, his young daughter was inspired to create trail names for them and decided to do some repairs and trail clean up in their town forest. 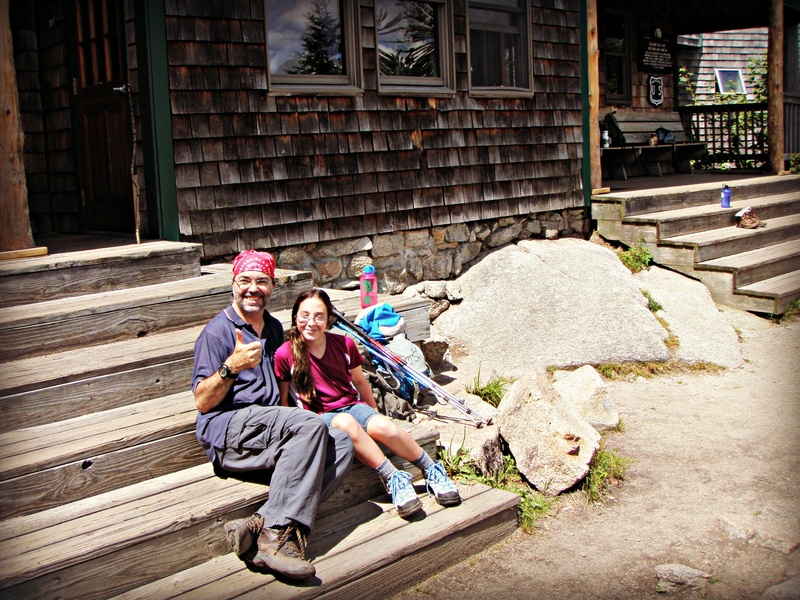 To the many fans who have given us hiking boots, or home-made cookies, or hosted pot lucks, or offered advice. To the 99-year-old member of The Over the Hill Hikers in Sandwich, who with clear eyes and a firm handshake invited us to her 100th Birthday Party this year. To all of you, wherever you may be, working hard at life, building careers and families and trying to figure it all out, I can offer you only this advice that I have gleaned from the last year: we are in this together, all of us. I see it in your eyes, that hope, that longing for connection. In every handshake and every hug and every kids’ groan when that picture of a leopard slug pops up on the screen at our presentation; in those moments there is no gap of age or gender or affiliation between us. We are all in this together. And it has been an honor to be part of this thing called life with you all. And the best part about this journey is that we’re just getting started. Buffalo and Tough Cookie have no intention of slowing down. We’re going to be out there, day after day, looking each of you in the eye and being in the moment. Let’s make our second year together better than the first. Let’s keep striving for connection. Let’s get outside. From my friend Janelle and from my family to yours, we’ll see you soon. Thank you. And Peace.